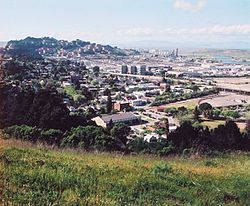 Cathair in iarthar-lár California is ea Richmond. Sa bhliain 2010 fuarthas 103,701 duine ina gcónaí in Richmond. Tugadh an leathanach seo cothrom le dáta an 5 Meitheamh 2018 ag 14:33.